By not filing your corporate tax return on time (or at all), you’re opening yourself up a number of different penalties from the Canadian Revenue Agency (CRA). Join Liu & Associates as we highlight a few of the penalties below. Keep in mind this list below is by no means exhaustive. For a complete list of corporate tax penalties, visit canada.ca. 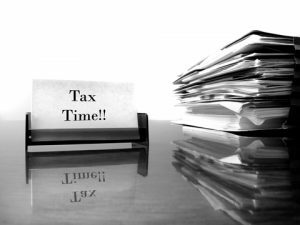 Corporate tax filing deadlines vary depending on your corporation’s fiscal year end, as well as what type of corporation it is. A corporation has to file their return within six months after their taxation year end, and payment is due either two or three months after taxation year end. Generally speaking, the penalty for late filing is 5% of the unpaid tax that is due on the filing deadline, plus 1% of the unpaid tax for each month that the return is late, for up to 12 months. A larger penalty will be charged if the CRA issued a demand to file the return and assessed a failure to file penalty in any of the previous three tax years. This penalty is 10% of the unpaid tax when the return was due, plus 2% of the unpaid tax for each month that the return is late, for up to 20 months. When the installment interest is more than $1,000, the CRA may charge an installment penalty. The penalty amount is calculated by subtracting the greater of $1,000 and 25% of the installment interest calculated if no installment has been made for the year. The difference is then divided in half to get the final penalty amount. A corporation is considered to be a “large corporation” is their total taxable capital employed in Canada at the end of the tax year by it and its related corporations is over $10 million. You can identify yourself as a large corporation on your T2 form. If a large corporation fails to file their return, a penalty can be charged for each month that the returns are late, for up to 40 months. The penalty is calculated by adding up 0.0005% of the corporation’s taxable capital employed in Canada at the end of the year and 0.25% of the Part VI tax payable by the corporation (before deductions). The CRA can charge a penalty if a corporation, either knowingly or due to gross negligence, makes a false statement or omission on their corporate tax return. The penalty for a false statement or omission is the greater of either $100 or 50% of the amount of understated tax. It’s good to note that the CRA will sometimes consider waiving penalties or interest if the reason for a late filing or not paying is beyond the taxpayer’s control. If you need help with your corporate tax return, give the experts at Liu & Associates a call. We will work with you and your company to make sure your corporate tax matters are as smooth and cost-efficient as possible.